My community has been devastated by the consequences of the economic crisis that onset in Greece the year 2007. This is continuing for more than a decade. Youth unemployment in Greece rated at 47.4% in 2017 (UN DESA, 2017), and this rate was 45% for national residents attained tertiary education (Eurostats, 2017). In other words, almost half of the citizens who studied at a university were unemployed. At the same time, it is well known that work opportunities arise mostly in urban settings; for Greece it is the mainland with its bigger cities such as Thessaloniki (in the north) and the capital Athens. Important to mention that the population living in urban areas in Greece rated at 78,3% in 2016 (UN DESA, 2016). Having said that, it is clear that migration – internal or external – is almost inevitable for rural citizens looking for work opportunities other than agriculture. Notably, the last census in Greece took place in 2011. Population at that point of time was 10,816,286 (PanoramaStatistics, 2011). Out of them, the period 2008 to 2016, it was estimated that 805,653 Greeks emigrated (Hellenic Statistic Authority, 2016). It is nearly the 8% of the total population. Sometime later, population living in poverty increased dramatically. The percentage of the population living in relative poverty was 23.2% in 2015 (Dianeosis, 2016), and the percentage of the population living in extreme poverty in 2015 was 15% (Dianeosis, 2016). Out of them, 24.4% were aged 18 to 29. Meanwhile, suicide rates which were 3.1% in 2008, arose in 4.7% in 2014 (Avgenakis, 2011; OECD, 2018); Economou et al. (2011) highlighted that increase in suicidality could be explained by the high economic distress, and Katsadoros et al. (2011) identified that 25% of the callers at the National Suicide Helpline were facing financial challenges including inability to repay personal debts. The situation of youth unemployment in Greece becomes clearer in a research conducted by Dianeosis (2017). In this research, online questionnaires were administered to 1,538 Greeks aged 18 to 35. Results revealed the following: 37.8% of the sample, has graduated from tertiary education (post-school education centres, Bachelor, master, PhD) and 96.8% stated that the existing work opportunities do not offer economic self-sufficiency (i.e. to cover housing costs, and basic bills). Meanwhile, only 48.6% admitted that has had a job for over a year, whereas the same time, 68.6% revealed that was unemployed sometime for more than six months. Moreover, about 49% of the total sample stated that the work it is doing or the work it was doing did not match with the educational and professional skills it had and they were more advanced than the job requirements. Last, 45.8% was willing to relocate in another region of Greece for work, and 40.9% was willing to relocate abroad. To sum up, there is no doubt that it provokes physical and mental health problems, and it is well proved that a negative public health effect is elevating in a community affected by an economic crisis. Despite the need for doctors, increased number of persons did not visit one reportedly, even though the ones with social insurance were entitled to visit General Pathologists free of charge (Kentikelenis, et al., 2011). Telloglou and Kakaounaki (2011) mentioned that this could be due to supply-side problems such as budget cuts in public hospitals, understaffing, shortages in medical supplies, and bribery incidents aiming to skip prolonged queues in overloaded public hospitals. And this was just the beginning. In 2014, the Minister of Health admitted that around two to three millions of people in Greece (i.e. around 18-27% of the total population) do not have health insurance at all (Kentikelenis, et al., 2014). Moreover, a study conducted by EKTEPN (2010) among drug users in Athens, revealed that 85% of them were not registered to a drug rehabilitation programme. In addition to that, a formal report from the same state agency (EKTEPN) revealed that there were individuals who deliberately self-infected with HIV to gain access to benefits of around 700€ per month (EKTEPN, 2011). The economic crisis affects also the typical development of children. Effects of poverty could be harsh parenting, increased antisocial behaviour, and mental health issues among children. In the Greek realm, even more parents were not able to afford children’s treatment for serious disorders such as autism (Kolaitis & Giannakopoulos, 2014). Another astonishing example of how children have been affected in Greece, is the increased number of recorded abused or neglected children in child protection services. For example, the Paediatric hospital of Athens – the largest in the country – has seen a 209% increase in cases admissions from 2011 to 2014 (Kolaitis, 2014). Overall, the situation in Greece deserves attention. The worst part is that community cohesion is affected mostly, as people are no longer able to live a life with dignity. 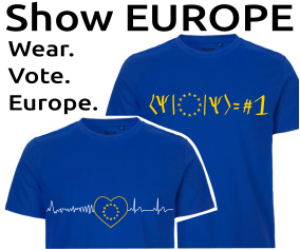 Eurostats (2017). Education attainment in Greece. Retrieved online on 2nd of June 2018. Hellenic Statistic Authority (2016). Emigration estimates. Retrieved online on 6th June 2018. PanoramaStatistics (2011). Census results of 2011. Retrieved online on 7th June 2018. Dianeosis (2016). Extreme poverty in Greece. Retrieved online on 9th June 2018. Dianeosis (2017). Cultural Pathways to Economic Self-Sufficiency and Entrepreneurship in 11 EU countries. Retrieved online on 11th June 2018. OECD (2018). Suicide rates. Retrieved online on 12th June 2018. Avgenakis E. (2011). Dramatic increase in the number of suicides due to the economic crisis and rumors on the operation of networks of usurers and blackmailers. Athens: Hellenic Parliament. Katsadoros, D., Bekiari, E., Karydi, K., et al. (2011). Suicide help line 1018: characteristics of callers for January-December 2010. 21st Panhellenic Conference of Psychiatry. Athens, Greece, May 5–7. Telloglou, T., & Kakaounaki, M. (2011). Three weeks and one night on duty. In: Papahelas A., Telloglou T., & Papaioannou S., (eds). Folders. Greece: Skai TV. EKTEPN (2010). Annual report on the state of the drugs and alcohol problem. Athens: Greek Documentation and Monitoring Centre. EKTEPN (2011). Report of the ad hoc expert group of the Greek focal point on the outbreak of HIV/ AIDS in 2011. Athens: Greek Documentation and Monitoring Centre for Drugs. Kolaitis, G. (2014). Children and families at high risk: protecting mental health during economic crisis. 22nd National Conference of Greek Psychiatric Association. Ioannina, Greece. Dianeosis, in collaboration with the MRB Hellas S.A., participated at the CUPESSE project (Cultural Pathways to Economic Self-Sufficiency and Entrepreneurship) to investigate the youth unemployment situation in Greece. One of the main objectives of the study was to examine the implications of young adults’ unemployment in the longer term, including the effects on the unemployed individuals and on society. Eleftherios Baltzidis has graduated from Democritus University of Thrace in Greece holding a B.Ed. in Education and from the University of Kent in U.K. holding a M.Sc. in Developmental Psychology. The last years has worked in humanitarian projects in Greece supporting asylum seekers stranded in the Greek islands.